Blue Force Gear honors your privacy to the highest regard. We understand the nature of work some of our customers engage in take this as seriously as you do. Blue Force Gear understands and protects your right of privacy and are jealous of your information as it is an honor to serve you. All payment information is collected and processed through PCI compliant gateways and systems. After placing an order on BlueForceGear.com you will receive order confirmation, shipping / tracking, and other transactional emails. There is no way to opt out of these at this time. If you do not wish to receive any emails - please call in below and tell the representative you wish to receive no emails. 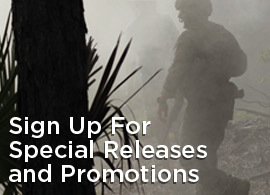 Occasionally we send email updates to all users regarding changes to BlueForceGear.com, your BlueForceGear.com account usage, or improvements to the site. These are infrequent and one time emails. You can unsubscribe to our promotional mailing list at anytime by entering your email address here.